Formica Group, the original inventor of High Pressure Laminate (HPL), officially opened its European HQ on the North Shields site on 6th June. To celebrate the opening of the new head office and improved manufacturing plant, dignitaries, customers and the media were invited to usher in the next era of Formica Group’s 104-year-old history. As part of its strategy to grow the business and remain competitive, Formica Group is investing £40million into staff and facilities in its strongest market, the UK, over the next three years. Driving innovation and increased production, the investment will improve operational performance, including better service levels, shorter lead times, and improved visibility and communication of product availability. Fletcher Building, Formica Group’s parent company, decided to invest in the plant shortly after the UK vote to leave the EU. 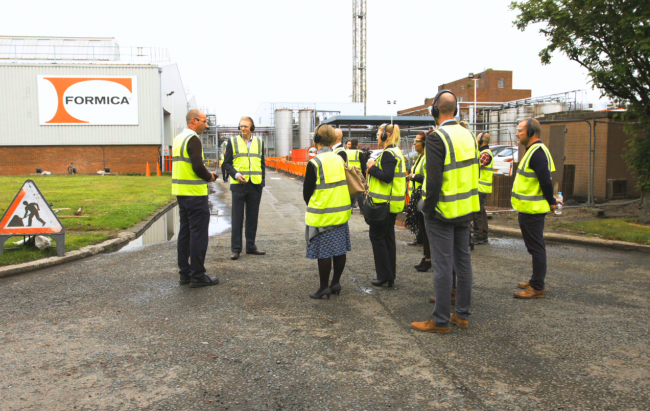 Formica Group’s UK management team views Brexit as an opportunity for the manufacturer to become more competitive in Europe, while at the same time making the UK a less competitive market to its rival European manufacturers. The investment also sees Formica Group HQ return to its original UK location on Coast Road, having been relocated to Cobalt Business Park in 2008. The art-deco Formica building in North Shields which opened in 1946 has been refurbished to become the company’s new European HQ, having formally been the UK HQ. The manufacturing operation is now centralised and under the same roof as the sales, marketing and management teams. In addition, a new Fabrication Support Unit training area and programme is being launched to assist Formica Group’s customers. Formica Group is the only UK laminate manufacturer to be aligned with Made in Britain, an organisation designed to promote and celebrate the manufacture of UK-made goods. 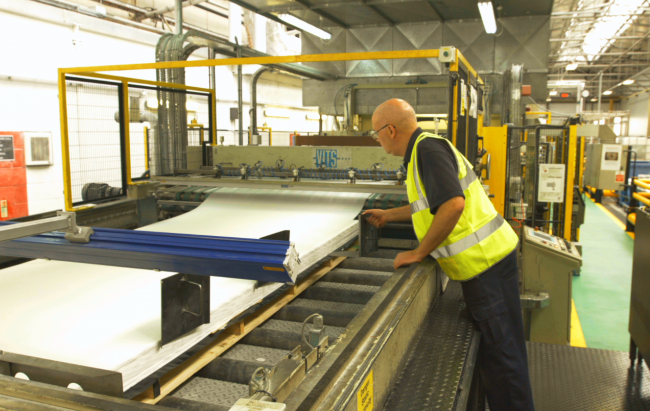 John Pearce, Chief Executive, Made in Britain, comments: “Building upon its 100 year legacy, Formica Group’s investment is about increasing its UK market share and providing stability both in terms of pricing and manufacturing. Made in Britain is part of the support story for stability and we are pleased to help Formica Group in the provision of a network and community to help sales”.